Liszt once said that Mozart composed more bars than a trained copyist could write in a lifetime. Mozart’s gift and skill with instruments was also remarkable as he mastered all of them except the harp. For example, no sooner had the clarinet been invented and introduced than Mozart began playing and composing for it. In addition to his many insights into Mozart’s music, Johnson also challenges the many myths that have followed Mozart, including those about the composer’s health, wealth, religion, and relationships. 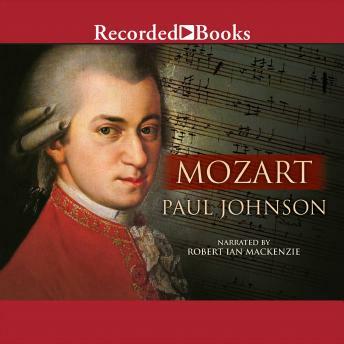 Always engaging, Johnson offers readers and music lovers a superb examination of Mozart and his glorious music, which is still performed every day in concert halls and opera houses around the world.